In this era that we live in, where electronic music is one of the prevalent musical genres, we often see DJs using turntables to manipulate music and create somewhat artificial-sounding noises. 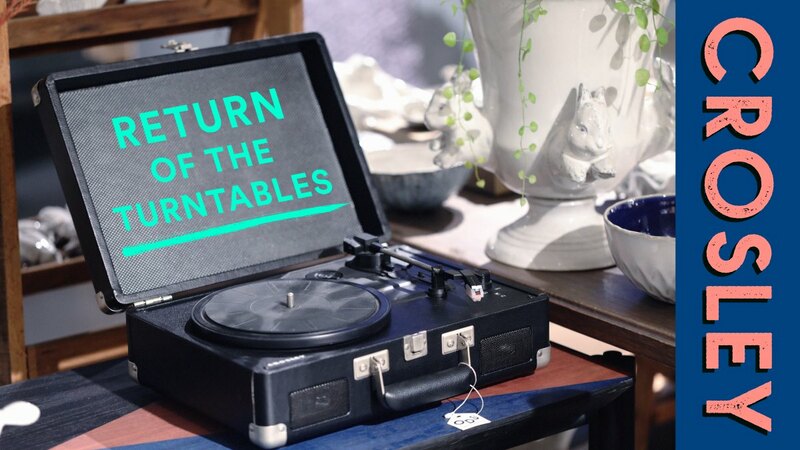 But a few decades ago, turntables were used simply for the purpose of listening to and enjoying music. Prior to the arrival of digital downloads, CDs, or even cassette tapes, there were turntables, also known as record players. But to work properly, record players needed something to play. That was where vinyl records, also known as LPs, came in. One could not work without the other. In this age, you can get your music with just a couple of clicks on your computer or cellphone, thanks to Spotify or iTunes. Rewind back a few years and you had to go to the nearest record store to choose the CDs or cassette tapes of your favorite artists. But go back further several more decades, your record store would be stacked with LPs. Think of it as a library and you’d be leafing through those records in search of that one LP as if you were searching for a particular book. That being said, finding music back then was no small task. So people had to be very thorough when choosing their records. To those unfamiliar, records are the large circular disks that are placed on record players in order to play music. At one point in time, both record players and vinyl records were considered to be luxury items. Listening to music by means of this format was considered to be a premium way of life. But then, upon the advent of cassettes and CDs, records and record players became obsolete and slowly started to fade away. Now, both records and record players are making a comeback in this 21st century that we live in. However, their prices aren’t what they used to be. While it is far from a convenient or cheap method of listening to music, it is most certainly a tasteful and luxurious way of enjoying your music. But to ensure optimal experience of listening to records, you’re going to need the right equipment, starting and ending with your record player. Crosley has been at the forefront of the vinyl revival, designing their own vintage-style record players. But that’s not all this brand is limited to. Their products also include radios, jukeboxes, and even telephones. 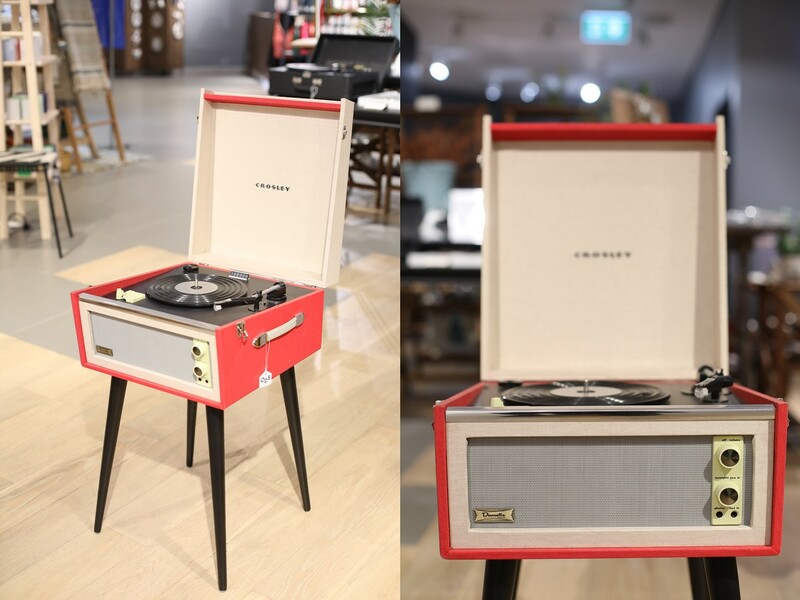 At ODS, 3rd Fl, Siam Discovery, some of Crosley’s turntables have been on sale. What distinguishes their record players from other brands is perhaps their unique designs, as will be demonstrated by the following products displayed below. The Crosley Cruiser is perhaps Crosley’s most popular item. As seen from the suitcase-style look, this record player is portable and you can pretty much take it anywhere you want. The Cruiser comes complete with pitch control, in addition to being able to sync with Bluetooth connection. But that’s not all. You can also stream digital music right through the record player’s built-in speakers. The headphone jack also allows you to listen to music in your own privacy. A basic record player without boundaries! On the outside, the Portfolio Blutooth may seem just like an ordinary record player lost from the 1970’s or 1980’s, given its vintage design. However, there’s more to this turntable than meets the eye. This record player can play three speeds: 33 1/3 RPM, 45 RPM, and 78 RPM. It’s also got built-in pitch control and a moving magnetic cartridge. All in all, the Crosley Portfolio Blutooth is pleasant to both the ears and the eyes. This turntable model is named ‘Snap’ for a reason. That’s because the Crosley Snap comes with two fold-out speakers that snap open whenever you feel like popping in a record to play some music. Think of it as a vintage-style surround sound speaker system, if you will. It’s capable of playing your three conventional vinyl sizes: 7”, 10” and 12”. Furthermore, you can also play mp3 music files using the auxiliary port. Open up this turntable to open up a world of analog music. Now won’t you look at that? A table that’s actually a turntable! You better believe it, the Crosley Dansette Bermuda is not only a good record player but doubles as a rather pleasant piece of furniture. But if you don’t fancy the table look, that’s fine too. Those legs you see are detachable. The Dansette Bermuda comes with full-range stereo speakers, pitch control and Bluetooth connectivity. A record player or a table? You can have both! Now if you’re feeling a hint of nostalgia rising up inside of you, come on now and pick up your Crosley record player and choose from the varying models. These models are available the Objects of Desire Store (ODS), 3rd Fl, Siam Discovery. Add a new taste to your lifestyle when it comes to music.